Paper Doyleys with 162mm diameter. Pack of 250 x 8, 2000 Doyleys. 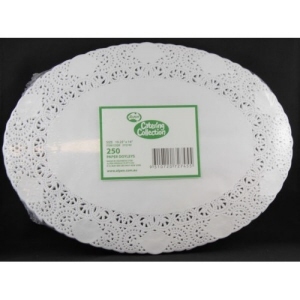 Paper Doyleys Oval with 165 x 228mm in size. Pack of 250 x 8, 2000 Doyleys. 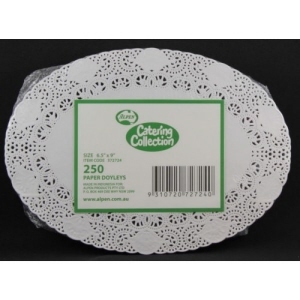 Paper Doyleys Oval with 260 x 355mm in size. 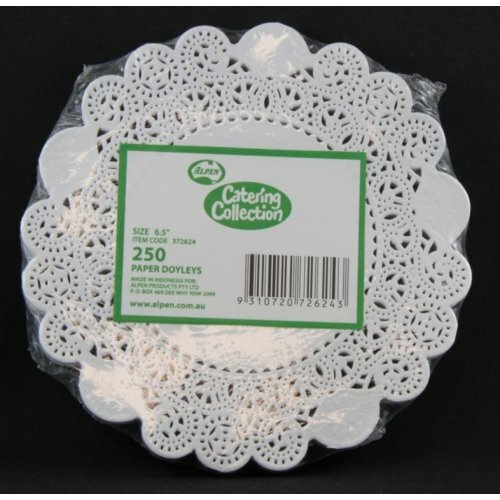 Pack of 250 x 4, 1000 Doyleys. Paper Doyleys Round with 190mm diameter. 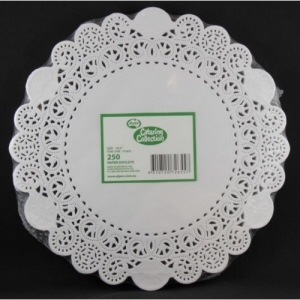 Pack of 250 x 4, 1000 Doyleys. 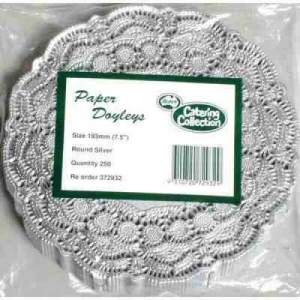 Paper Doyleys with 266mm diameter. Pack of 250 x 8, 2000 Doyleys.